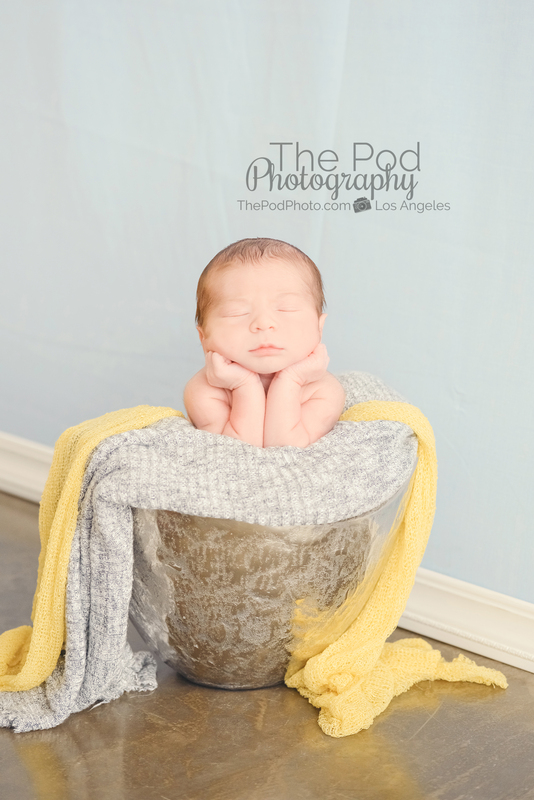 Meet the Best Baby Photographer of Manhattan Beach - Los Angeles based photo studio, The Pod Photography, specializing in maternity, newborn, baby, first birthday cake smash and family pictures. 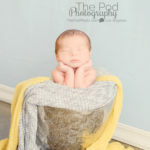 Tiny fingers, a button nose, and cute little leg rolls. The beauty that is new life — the little things that take up the most room in our hearts! 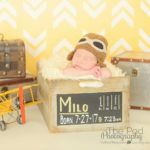 We relish in the unique details of your baby boy or girl. 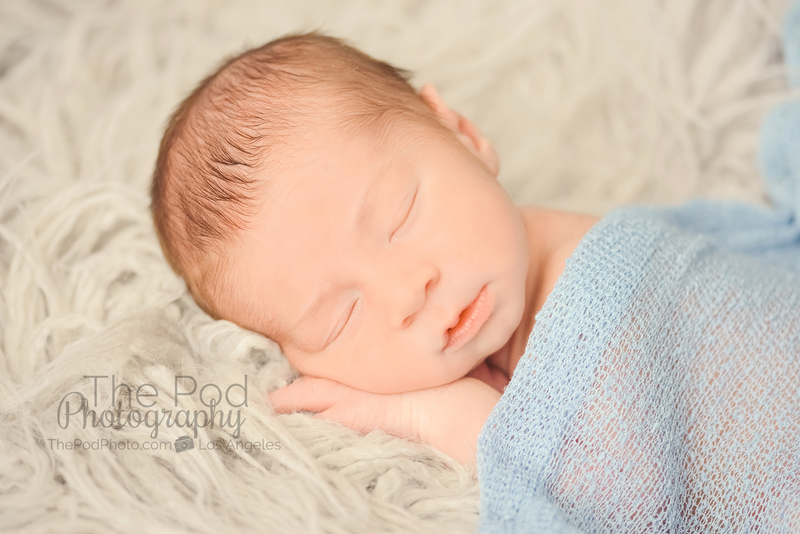 When you get to photograph newborns for a living, you come to appreciate details. Big or small, they tell the story of life. 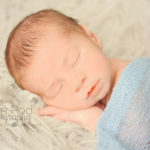 Mom’s lips, Dad’s eyes, or even Grandma’s fingers; these add purpose and intention to our photography. 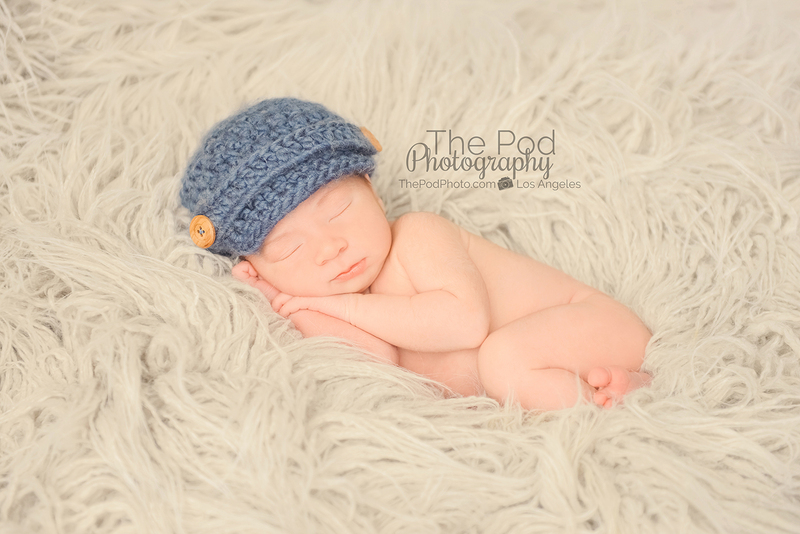 We photograph the nuances of your little one’s expressions with ease, knowing that these gorgeous details are part of your baby’s story. 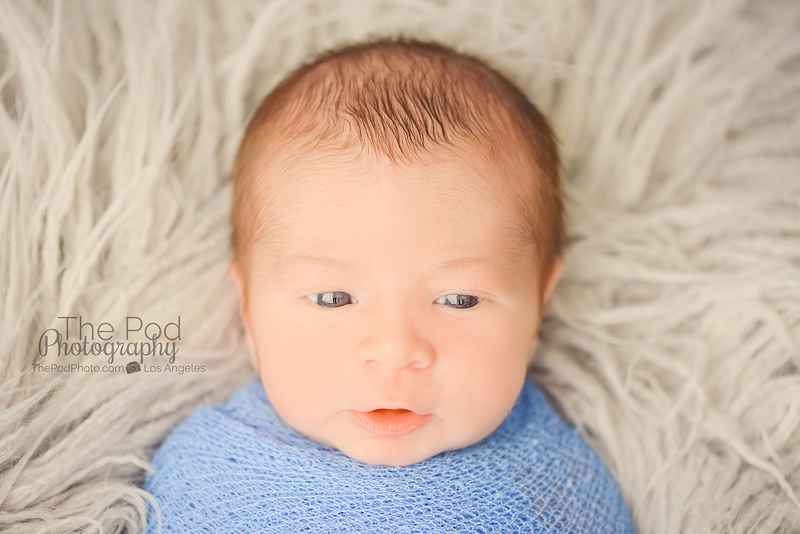 When our clients come to our Manhattan Beach studio with their babies whom they’ve only spent time with for the last 5-10 days since their birth, we love when they gaze over our shoulders during the baby’s newborn session with soft smiles, in awe of this little love they created together. 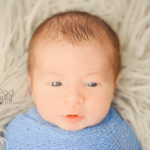 Our attention to detail is why we pride ourselves as the best newborn photographer of Manhattan Beach. 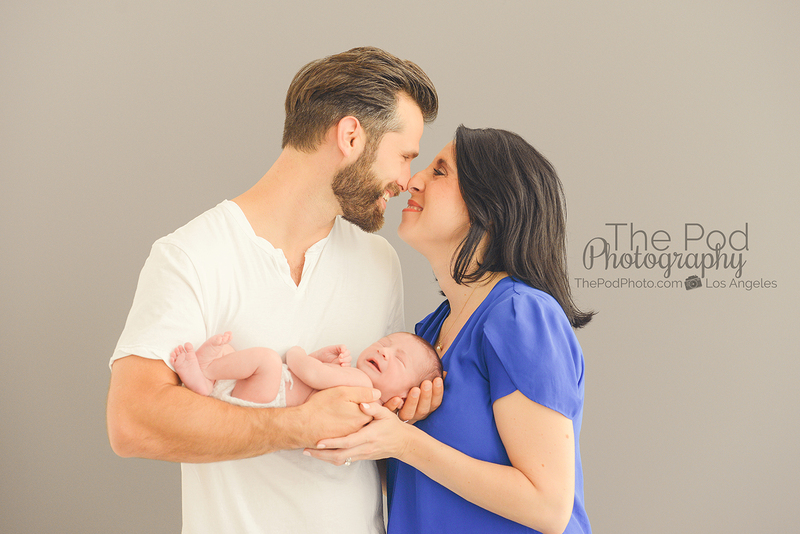 Designing for this sweet family was extra special for us because we were able to document mom’s maternity session and even see his little kicks in his mommy’s tummy just a few weeks prior to his arrival! 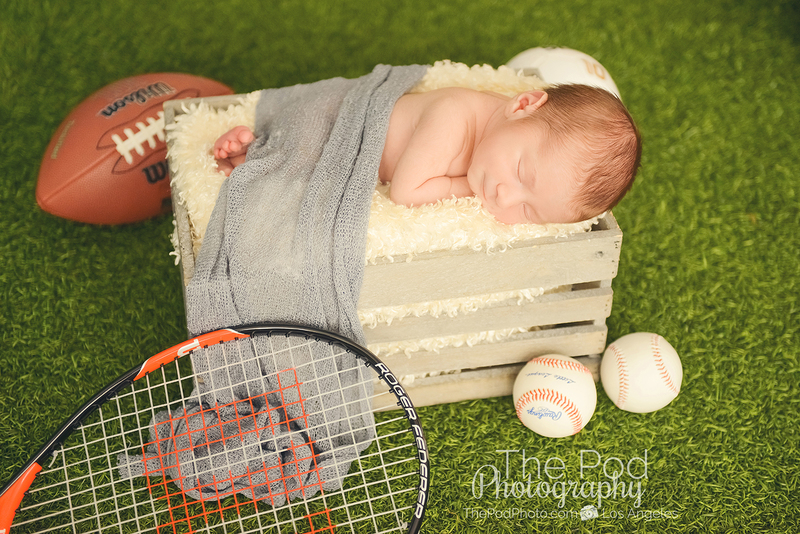 Dad is a sports fan, so naturally, a custom set with a sporty flare was in order. 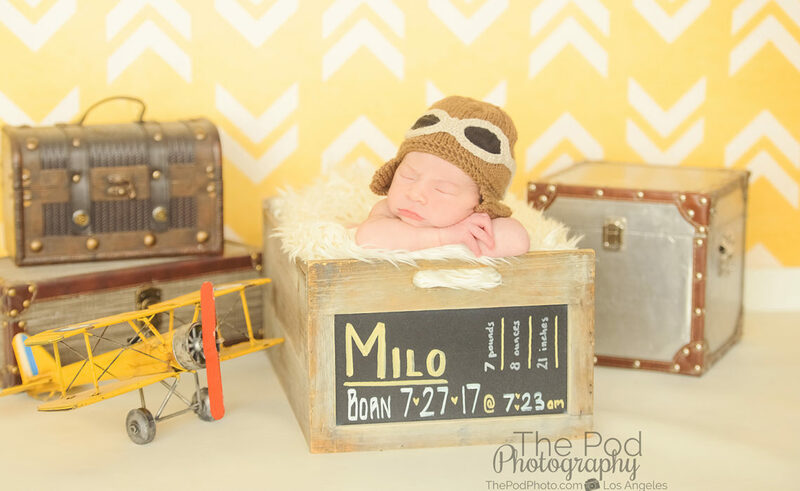 Mom designed his nursery with influence of travel and adventure, so we balanced his other sets with model planes, grays, pale yellows, and textured buckets. 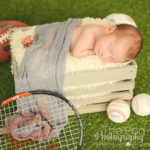 We know that when you’re expecting, there’s so much to plan for – so let us take care of having your newborn photos booked and contact us with your due date! 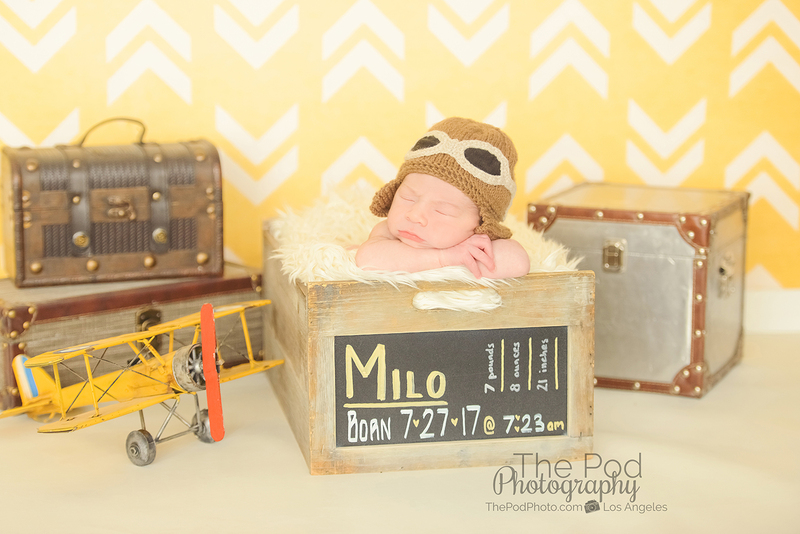 Visit our Instagram to build on your inspiration, and give us a call at 310-391-4500! 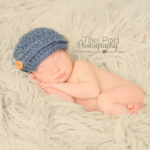 Redondo Beach Family Photographer Six Month Baby Portraits is the Perfect Time For Photos!